Workflow is simply about ensuring the right information is in front of the right people at the right time. So how do you recognise and take advantage of the benefits of a workflow solution? 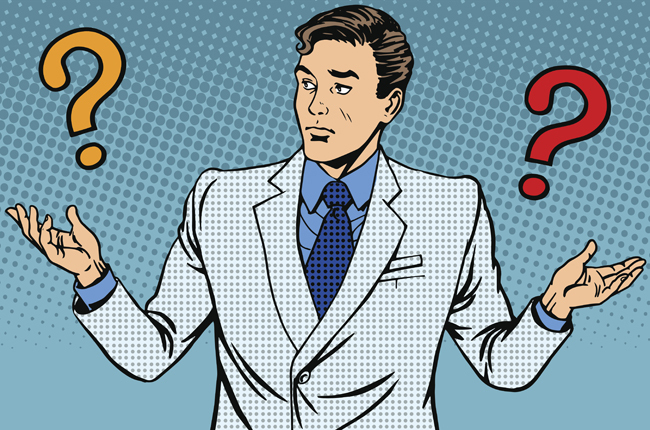 What Business Management Solution or Software is right for you? The guy we call ‘boss’, Hamish Howard, breaks it down. I’ll repeat myself to try and point out what we see as obvious logic – if you don’t have the right information, in front of the right people at the right time in your business, then by definition your business doesn’t have good workflow. Confusing lingo is one of the many ‘gifts’ the business management and consulting industry have showered on companies over the years, and a particular favourite is ‘workflow’. Quite simply, automated workflow systems are about transforming the way companies operate. Next to staff, workflow and documentation management is quickly becoming recognised as the lifeblood of a well managed business – a good workflow solution gets management consultants all excited by facilitating the rapid flow of information, breaking down barriers between people and processes, and boosting productivity. At its most basic level workflow is just the fancy schmancy name for GSD (Getting Sh*t Done) in an efficient manner. Expanding on this simple definition, we turn to the oracle that is Google for something a bit more official – “Workflow: the sequence of industrial, administrative, or other processes through which a piece of work passes from initiation to completion”. So if you pick that apart you can see it’s about a ‘start to finish’ process for moving work (documents, requests, ideas, paper, etc.) through an entity. Enough of the definitions! Why should you devote valuable intellectual horsepower to considering a management consulting term like workflow? Why invest in business management software to streamline and create a better workflow? The obvious commercial imperative is that good workflow saves time and money and enhances the customer experience. Bad workflow does the opposite. This should attract the attention of the money people, the people people, the operations people, the selling stuff people, and the doing-the-actual-work people. All of the above help to eliminate bottlenecks. Another great management term that basically means the ‘stuff’ preventing actions or progress are identified and eliminated with a good workflow system. Then, managers are provided with real-time analytics and valuable data that helps identify further productivity improvements. You’ll also find, as many of our customers do, that with clear and transparent processes staff will give more feedback. There are great innovators at every level of any business, and armed with information and the opportunity to give input – just like our customers experience, your people are likely to feel more empowered to speak up and share their ideas on how to make things better. More engaged staff? Definite win. 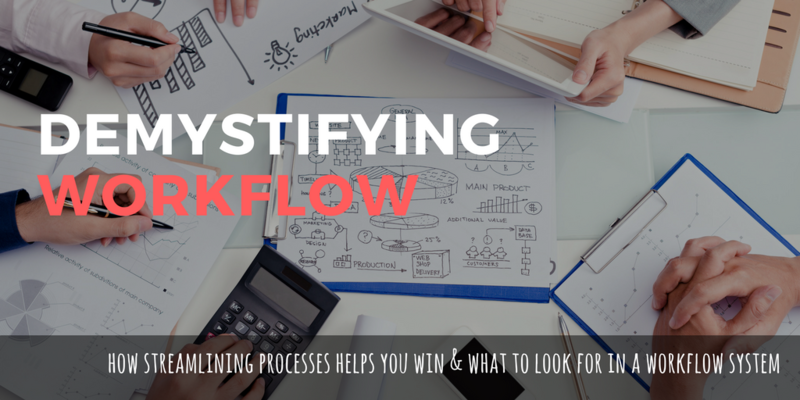 Workflow automation streamlines manual and paper-based business processes so teams can spend their time concentrating on important, as opposed to redundant, tasks – ultimately improving a company’s bottom line. I can’t just sing the praises of an automated system and not provide some guidance on what to look for. Hopefully, you can relate the following tips of what to look for in a system to your work, or to experiences you’ve had as a consumer, and experienced service that just “flowed”. But you can’t just ‘flow’. Your people need the right tools to create a fast, streamlined, consistent and well-oiled system – that’s good for them, you, and your customers. Management should have a complete overview of the organisation and what is happening at any time – looking through a “single pane of glass” , to use management speak. This means reporting and management tools should also be readily available to identify where improvement is needed, provide instant access to relevant policy, guidelines and advice, and to quickly respond to customer needs and industry conditions. An effective workflow management system should provide a consistent set of processes that are implemented at all levels of your organisation. This means actions are repeatable and performed by the right person at the right time. For example, the Ministry of Education used Assura to create an automated system to identify, manage and monitor referrals from more than 2000 schools. Information relating to an individual student including incidences of truancy, follow-up actions and referrals are now easily found – ensuring processes and procedures are correctly and consistently followed. Bad luck, kids. A workflow system platform needs to be designed and applied so that everyone, regardless of technical ability, can understand and competently use it. It should reflect and support the culture, not dictate it. This also means this more intuitive way of working is more likely to be accepted and even appreciated by the team. The New Zealand Transport Agency (NZTA) worked with us to install an easily accessible and centralised tool so it now provides faster, accurate and consistent information to customers. NZTA staff have since adopted it as ‘their’ system, named it personally, and now consider it much more than a mere administration tool. “Savage”, as my 12 year old would say. There’s not much value implementing a platform that can’t be easily adaptable to the specific and unique requirements of your business. Forget about trying to stuff system square pegs into workplace round holes. Just as your business will grow and change, so will your system needs. Your platform needs to be flexible enough to handle any prospective procedural changes quickly, and without the need for expensive add-ons down the track. Do your bit to prevent a future finger-wagging finance manager! At Assura, we like to keep things simple – and that’s more than just a reflection of the guy in charge. It’s about getting rid of ‘geek speak’ and management jargon, and helping business streamline jobs by providing practical tools and knowledge. So, at the end of the day, you can do more of what matters. Talk to us about what’s getting in way of getting stuff done – and we’ll roll up our sleeves to help.